We like to think of philosophy as a worldview or a quest for truth, but I’d like to offer an alternative view—philosophy is a toolbox. We can pick out some specific philosophy for some specific purpose and use it to fix things. To be clear, this toolbox metaphor is not meant to replace that quest for truth, nor do I mean to suggest that “everything’s relative” and so we can just wear a particular philosophy until we get bored with it. I’m still on the hunt for my philosophy, and I’m probably operating under some provisional Weltanschauung (if there is such a thing), but in the meantime, we needn’t entirely dismiss certain philosophies that fail in some regard. They might not encompass the whole truth, but they can nevertheless be useful in specific cases where the ordinary failings of that philosophy no longer apply. This is all another way of saying let’s not throw the baby out with the bath water. I can sense the objections already. Just hear me out, keeping in mind that I’m talking about very unusual circumstances. Using philosophy as a toolbox occurred to me for the first time in the recent past when I found myself in an unusual situation that rendered a particular philosophy I don’t generally buy into useful in that situation. I could either use that philosophy or have no way of making a decision, which would in itself be a decision, and a bad one. I don’t want to get into the specifics of that case because it was pretty emotional and I don’t want to relive that. Instead I’ll focus on my current case. I thought of this blog post after having a conversation with Mike Smith at Self Aware Patterns. I told him about my current problem with lightheadedness and how the primary care doctor sent me on my way after mentioning, “It might be a brain tumor.” I told him about a particular philosophy that helped calm my nerves. Everything was going fine for a while. I had the situation under control. Later I went to the neurologist who told me, “It’s not likely to be a brain tumor, but we’ll do an MRI anyway and check for it and MS.” Now my worries about having a brain tumor are replaced with worries about MS. So of course I come home and start Googling. Oh my God, I have bad balance…trouble concentrating…muscle spasms…numb feet…blurry and double vision…I must have MS. I thought I’d be the last person to become a hypochondriac—I’m usually utterly oblivious to my own physical maladies until they blow up and become a big deal—but it turns out I just needed a little nudge. Tomorrow I should find out the results of that MRI, and it will likely be nothing big. (I’m sort of excited about getting to see a picture of my brain, even though I halfway expect to find some crazy object lodged in there, perhaps a marble or even a hole where a marble used to be.) This whole process of figuring out what’s causing my lightheadedness will probably take a while. In all likelihood, it’s a viral infection in my ear, and the other symptoms are probably due to other things. In the meantime, I’m writing this to remind myself of the philosophy that worked in the first instance, hoping it will work its way back into my psyche once again. Stoicism has its merits. It’s a rational philosophy that says basically this: Don’t bang your head against the wall. The basic idea is that while you don’t have control over external circumstances, you do have control over yourself and how you react to them. As Mike and I discussed, he brought up the same problem that I have with Stoicism, and it’s not the usual complaint. There’s something about Stoicism that sounds like sticking your head in the sand. At what point do you admit that you have no control over your circumstance? It seems like you must have knowledge of where the wall is before you can avoid banging your head against it, but we don’t always have that knowledge. In my particular case, though, I have that knowledge. I know I can’t know anything until the doctor diagnoses me. I know it’s irrational to assume the worst, to drive myself crazy by over-Googling. When I think about the matter clearly, I know that I can only control one factor in all this—myself. And even if it does turn out to be something bad, I can still apply Stoicism to the situation and make the most of it. I can choose not to let these external circumstances drag me down. This is not a pat, smug answer. It’s not as simple as the motivational posters make us believe. It’s a kind of exercise of will, much like what I use when I’m running. It requires constant vigilance and effort. Do that extra lap by pacing yourself, think about something else besides your fatigue. These things we tell ourselves can work, but they don’t come of their own accord, they must be rejuvenated over and over. They require a lot of self-control, discipline. Writing this helps remind me of what attitude I need to take. Thanks for listening! What are the odds? I was toying with a follow-up article on how word changes can affect how we interpret a text, and was going to use Stoicism as an example. I try to live by a philosophy, and it’s basically Buddhism, although Buddhist concepts have found expression in other philosophies, so I use multiple sources in a way, but they’re all pointing to different angles on the same basic concept. Although I think an application of philosophy to address rough spots is effective, I wonder if the effectiveness is limited because the application is limited? If we assume that our difficulties in life consist of how we relate to events, then this conditional application doesn’t change how we relate, but rather uses more sophisticated tools to relate to life in the same (problematic) way. For instance, if i use Stoicism only to deal with painful situations, then I’m still dealing with painful situations in the same way (trying to make them go away) rather than changing my relationship to pain (and pleasure) in general. I can’t wait to read your post about word changes! That sounds right up my alley. I agree that something peculiar is going on here. There’s something funny about buying into a certain philosophy only to extract that little bit of it that applies. Stoicism is a way of looking at life, it’s an all-encompassing philosophy rather than a tool. It’s not meant to be used as a tool. It’s meant to change your perspective on everything. Using it as a tool may be missing the whole point, which may be as you say, changing my relationship to pleasure and pain entirely. Then comes the resounding silence and I go on with the pragmatic approach. I’m looking forward to reading your post on Buddhism. I imagine there are stand-alone philosophies there which might allow for more picking and choosing. Thanks! Maybe the MRI will show that I’ve lost my marbles and then I’ll have an excuse to write whatever nonsense I please. y’all can be my editors. I can’t stop shouting! AAAARRRRGGGGGHHH. But alas! I’m apparently not articulate enough to do away with such devices! I’m am SO lazy. You got me. Now you wanna get rid of those stupid exclamation points for me? Or clean the house for me? That would be even better. Thanks! It’ll be in the same vein as my latest article, (“There Are No Accidents?”) so if you liked that, you may like the follow-up when it’s done. Looking forward to my objection in a perverse way? ROFL! I wouldn’t call on any recognisable philosophy in your situation Tina, and certainly not on any religion – great though that is in providing emotional solace for some. I would remind myself that worrying under such circumstances is perfectly natural. Some things, as perhaps parents in particular know, can’t be philosophised away, much as we would wish they could be. So, the question then becomes one of what actually is the worry? By this I mean how does it present, not what does it represent, but what is worry as an emotive force within my immediate, direct experience? This approach, for me, clarifies what’s actually and in a self-verifying way happening in awareness now. All the rest is speculation. I remind myself of that. Speculation is almost never productive. I remind myself of that. Then I get lost in worry again, not seeing it for what it is. And I remind myself that worrying is something I choose to do; it is volitional. And I then remind myself of what it actually is. I keep coming back to what I know is true. This knowing reduces to an experience of thoughts and feelings, which together we can call an emotive force. And I once again remind myself that it is natural to be emotional at such a time. Rinse and repeat. You know, you’re onto something with the rinse and repeat. The worry comes in waves. Most of the time I’m not thinking about it, but then…for instance, just a few seconds ago I felt like I was passing out and I noticed my eyes were doing funny things and my striped shirt was tripping me out. Then I leapt to the thought, “I have MS or a brain tumor! Probably cancer!” It’s this irrational crap I’m trying to get rid of. But there, I’ve said it—”irrational crap I’m trying to get rid of”…this is of course natural. Thanks for reminding me of that. These thoughts are pretty embarrassing, but I figure that’s all the more reason to publish them on my blog, a kind of catharsis. Honestly, I haven’t read much about Stoicism except for what I learned in college. It was the first thing I latched onto when I started having these stupid thoughts and I could immediately feel the force of it, precisely because it is so reasonable. When I drove home from the doctor’s the first time, I told myself, “What the hell’s the point in worrying when I can’t know?” That came right in the midst of what was starting to feel like a panic attack. The thing is, this simple thought actually worked! Now it’s just a matter of rinse and repeat. I know I’m gonna have the stupid thought again. I know I’m gonna get scared. Knowing that doesn’t prevent it necessarily, but it does help. Great that you’re keeping your wonderful sense of humour in the midst of all this Tina; it’s one of the things we all treasure you for. By the way, what I wrote above is just how I deal with these things within myself, it wasn’t meant to suggest anything that I thought you or anyone else should adopt. [My first sentence was poorly worded, and could have sounded like an admonishment.] It works for me, and I’m quite typical, so it may have some generalised efficacy. It is a reductive technique really, and not dissimilar to the mindfulness approach found within Vipassana Buddhism and nowadays in contemporary psychotherapies too. We just keep coming back to what is actually happening in a verifiable way. Unless we do that, then the mind searches out patterns of certainty that simply are not there. But it is a case of ‘coming back’ though, because as you clearly know already, the worry will run away with itself on a regular basis. Again, what is it? – speculative thoughts built upon partial snippets of data, and feelings arising conascently – we see it as just that, in so doing the whole emotive force diminishes in power. Lather, rinse and repeat. No worries…I didn’t take it as admonishment. I can definitely see when my mind is taking that wrong turn…it’s just a matter of stopping it, bringing it back to reality, which isn’t quite as bad as my imagination thinks. By the way, I can’t believe I didn’t buy your book earlier! So sorry about that. It’s one of those things I’ve been meaning to do but it kept slipping my mind. Well, it’s there now in my Kindle. I have a friend who might be interested as well and I’ll be sure to pass along the title. You’re too kind Tina. I’m not a fan of eBooks though, so if you feel that way too then do feel free to email me a neutral address and I’ll very happily post you a gratis copy of the book proper. You’ll probably only want to read the three chapters on contemplation (much of the rest will be too elementary for you by far), and if so, the eBook may suffice. It’s an open offer, your call of course. And thank you! I’m relieved that the neurologist downplayed the tumor thing. I’m sure the tests for it and MS are strictly out of an abundance of caution. Your symptoms still make me wonder about the caloric intake angle. Anyway, I hope they’re able to quickly figure out what the issue is. I think looking at philosophy as a toolbox is exactly the right approach. It’s the one I take, although I’ve struggled to find the right phrase for that meta-philosophy. For me, philosophy provides a series of assumptions, outlooks, and methods, each of which prove useful singly or in combination, some of the time, and some of the time don’t. It’s why I often say when discussing normative ethics that I actually favor doing a check in multiple moral philosophies (utilitarianism, deontological, virtue ethics, etc) rather than slavish devotion to one. Such exclusive devotion to one or another, it seems to me, turns them into religious-like outlooks. I’ve stopped the dieting and I’m back to 1600 calories/day…at least. I took your advice on that. And I’m not getting any exercise at all, not unless falling over while putting on my pants counts for something. Really though, I’m flat on my back most of the day because I don’t feel as dizzy in this position. I’m happy to report I haven’t gained any weight, but I suspect this has to do with losing muscle. I think you’re probably right about the abundance of caution. Plus, in order to diagnose what I have as an inner ear issue, they have to rule out everything else first because there’s no other way to do it apparently. A rather expensive way of doing it, but at this point I don’t even care. I just want them to fix me. I really want to start driving and exercising again. Once the MRI is cleared up, they’ll send me to a balance clinic and I’ll have to retrain my brain. It could take a long time, but it sure beats a brain tumor! I definitely see the need for multiple moral philosophies. On the whole I’d buy into an Aristotelian, golden mean kind of philosophy, but it’s really pretty vague…which makes it more generally correct, but also less useful in complicated situations. That’s when I turn to all those others—utilitarianism being a great example of something that’s problematic in certain cases, but useful in others. If I felt that any of these really provided an all-encompassing moral code that worked in every situation, I’d sign up for it, but I’m afraid none of them seem entirely problem-free for me. Best of luck on the diagnosis. I’m glad to hear you temporarily upped the calories. As your metabolism revs back up, I suspect you’ll find yourself feeling better, even if it has no bearing on this specific ailment. Thanks! I just hope I don’t undo all that work. It’s looking okay so far. It’s true that much of philosophy is untestable…and “hypotheses” is a good word for a lot of it. It often concerns something so foundational there’s nothing “beneath” it to prove it. I wouldn’t worry too much about undoing it. Keep weighing yourself regularly so you keep an eye on the weight and I doubt you’ll fall completely off the wagon. But don’t get too jumpy if you see the scale go up a pound or two, only if you see a pattern of constant increases. Seriously, I’m grateful for your kind words. And philosophy of science would almost certainly have been my thing. I have an enduring interest in how we know what we think we know. As you know , among other things, the Stoics believed that destructive emotions such as anger, fear, anxiety, and dissatisfaction are all caused by errors in thinking, ideas that inspired Albert Ellis, the grandfather of Cognitive Behavioral Therapy. It’s certainly OK to be sad and/or concerned but if you think you are getting depressed then Stoicism/CBT can definitely help. Personally, I like your analogy of the toolbox as it harks back to the origin of philosophy, as something designed to understand the world and help people be happier and more fulfilled. Incidentally, just reading a list of symptoms of MS (tiredness, tingling, constipation etc.) is probably sufficient to cause half the population of the US to believe they are suffering from it. Wait for the results and distract yourself in the meantime. Good luck. Yes, all good points. One of the things I really like about Stoicism is that it feels accessible, unlike other kinds of therapies which involve the subconscious or delving into the unknown. It’s quite simple and direct really…at least for me. Show me the error in my thinking and things start getting clearer. Yes, it could be so many things. I’ve had multiple episodes of light-headedness from multiple causes… ear issues, low blood pressure, etc. I have also had a brain MRI. It’s pretty cool, actually, getting a look at your own brain. I think Stoicism is a very useful approach to life. It lends itself to the “tool” idea because it is practical. I don’t necessarily agree with the full package of Stoic cosmology and the Logos and so forth, but the way Marcus Aurelius applied the philosophy is admirable. I often think of him trying to deal with wars and plagues and a failing empire, to say nothing of his personal life. His book is inspiring. Hope your news is good. Yes, when you think about what a lot of the Stoic writers faced, it’s pretty amazing they were able to say put forth the philosophy they did. Quite an example to live up to. You used the word ‘applied’ – in this context this is the crucial point. Philosophy in itself is of no use at all in changing one’s life for the better. A modern ‘use’ of a kind of stoic approach is ACT. Attention and Awareness Therapy. Sorry to hear about your health problem Tina I didnt read your blog until now. Hope its nothing serious. Well, I think it can be of use “in itself” from an aesthetic point of view. There is value in knowledge and beauty, which can be quite therapeutic. But I agree that philosophy takes on a whole new value when we can apply it to situations in everyday life. Of course I’m going to advocate that philosophy is intrinsically useful. I can see why most people wouldn’t agree with me, but getting into the study of philosophy has changed me in many ways, even in highly theoretical matters that appear to have nothing to do with how we behave in the real world. These mostly allowed me to see the errors of my ways…which changed my personality even. I used to be a pretty opinionated foul-mouthed kid—I cringe in remembering the stupid things I said—but once my arguments on pretty much everything were demolished, I learned that I really didn’t know much of anything. Socrates was onto something. I wonder what kind of horrible person I would have become if I hadn’t studied philosophy. I kind of don’t want to know about that. Of course, there’s more to philosophy than just a negation of opinions. I definitely have opinions, new ones, which I’ve worked out from all the reading, but these are now more provisional than before. That said, I see the horizons opening up for making philosophy seem useful to more people, especially in what you’re talking about with Stoicism as a kind of therapy. I would probably use Plato as a kind of therapy, a la Saint Augustine, but I don’t know if that would go over quite as well. Although there definitely has been a move to engage people in Socratic dialogue and people seem to see the value in that. And this is also why I love that merging of fiction and philosophy because it offers philosophy in the form of examples that capture the imagination. Thanks for your kind words. I still haven’t found out what the results of the MRI are, but hopefully they should come in on Monday. I’ve managed to avoid thinking about horrible possibilities and now I’m just eager to get on with it so I can get back to my ordinary life. I hope that your health problems will turn out to be nothing serious. Of course the doctors have to take all possibilities into account, that is their responsibility. You will see what comes out of theese tests. Try to keep cool. Apply some stoicism. 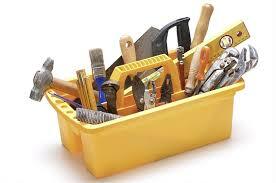 I really like the toolbox metaphor. One friend of mine, the mathematician Kurt Ammon, coined the term “analytical space”. That is a chunk of knowledge (concepts and methods) together with the objects the knowledge refers to. He argued (in the context of mathematics, but one can apply this to other areas) that each analytical space is incomplete. Sometimes, analytical spaces can be unified into larger ones (unification). Sometimes we encounter anomalies in one and have to start a new one, i.e do a division. Knowledge develops by unifications and divisions of analytical spaces. One of his central insights is that it is not possible to unify them all. Another central insight is that there is a trade-off between the generality and the explicitness or exactness of knowledge. There are very exact pieces of knowledge that have a low generality and there are very general pieces that are vague, i.e. there definition is incomplete and in applying them, you have to add or invent something in each case of usage. the toolbox metaphor describes this very nicely. There are some very general tools, but you have to invent new tricks all the time in using them. There are some others that have only a few well-defined ways of using them, but they are very special. You will never have the one general all-purpose tool (or you actually have it, its your hands, but you would use it to create some special-purpose tools that are better for doing one specific thing (like boring wholes, for example) and the generality of the general tools is in the possibility to use them to make special ones. In philosophy it is the same. The very general theories are vague, the very exact ones are special. Look at the whole body of analytic philosophy that has been generated over the last onehundred years. It is a library full of books filled with different formalisms. It does not stabilize. There is not that one theory that covers it all. If you are trying to be very exact, as analytic philosophers are trying to do, you inevitably end up with something that is partial and incomplete. If you try to make it general, you will encounter vagueness at some point, which is another form that incompleteness turns up, since here you have concepts and methods that are incompletely defined. I think, therefore, it is best to apply a pragmatic (and pragmatist) approach and pick out what fits the situation best. It is even possible to use theories that have been prooven wrong in the more general sense. For example, engineers are still using Newtonian physics because it is easer to use and for most practical uses, the mistakes are below the tollerance. If you build a house, you can treet earth as flat, you need not think of you plot as a piece of the surface of a sphere. What caught my eye was the last sentence…If you build a house, you can treat the earth as flat. This feels like an interesting metaphor for what we’re talking about. Of course in this example we don’t have to say the earth actually is flat, just that the piece that we’re working with can be treated that way for practical purposes. I’ve been wondering if using philosophy or ethical systems to fix a specific problem is misguided. Something about it seems really funny when that same system doesn’t make sense writ large. I guess I’m wondering if philosophical systems can be applied in the same way as Newtonian physics is to the piece of earth. I guess I assume a correlation between epistemology and ontology, at least a vague one. So I guess my question would be, if we can’t get a unified philosophy (and this is somehow known in advance, I don’t know how) then what does that say for being? Are we to divide reality into several spheres? I know I’m contradicting what I said in my post. And in the end I’m just gonna go on bumbling through life using whatever occurs to me, but it’s a curious thing. I know you’re up for these sort of theoretical contemplations. 🙂 I also suspect you’ll say we don’t know about that correlation between knowledge and being. But maybe I should just let you say it? Oh, and then—if you’ll allow me to be utterly scatterbrained—the point you brought up about generalized theories being vague. I find this to be the case with philosophies that seem the most correct. I mentioned this to Mike, that Aristotle seemed to get things right, but it’s so vague that it serves almost no practical purpose. The very first sentence I wrote on “The Asifoscope” was “Reality always has more properties than are derivable from any of our theories about it.” (see http://asifoscope.org/2012/11/18/hello-world) I think our theories will always be incomplete, in the sense of having gaps or in the sense of being vague, or both. In mathematics. We can always get nearer to reality, we can shift the border, but there is always a rest. And we will never have that unified theory. Physicists might come up with something that is theoretically a theory of everything. However, it might turn out to be computationally intractable, containing functions that are not turing-computable (i.e. for which every method of computation is incomplete). We will be able to calculate special cases, but there will be othere cases and in order to calculate those, we will have to add more information. So such a theory, while implicitely complete, would be incomplete if you make it explicit (I am not a physicists and my math is not enough for this, but I think the 3-body problem has this property). I am a pragmatist. I think we will always only have a toolbox of theories, concepts and methods, and that is OK. I think this is also the case in practical philosophy, political theory, ethics and law. I don’t believe in complete theories. Thats one reason we need open discourse and democracy. By the way, I wrote an article about the flat earth (http://asifoscope.org/2013/03/16/the-world-is-flat/). I feel that I’ve just written a stream of consciousness reply in that last one. I didn’t make it clear I was thinking of philosophy more generally…not just ethics. Oh lord. Feel free to pat my on the top of my head and say, “Come back later when you’re making more sense.” In any case, thanks for engaging on this topic! I find it fascinating and enjoy talking about it with you. Your comment did not appear confused to me, so your mental state is probably better than it feels. Wonderful post – I do a lot of piecemeal picking and choosing with different philosophies, even when I don’t agree with their overall ontologies or underlying principles. Aquinas’ models of human and angelic cognition helped understand unix based operating systems, Hegel’s dialectics help simplify complex social movements, etc. But I’m still neither a Thomist or Hegelian. I think the toolbox idea works well. There’s probably some good tools in practically every philosophical and religious framework. Your particular example works well. I remember a while back a friend of mine told me that worrying doesn’t do anyone any good and I thought it was extremely wise. Of course then I went right back to worrying. I hope your diagnosis is nothing serious and that you can go back to feeling well again quickly. For several years now I have been running into Buddhism in various forms. The central thesis is “desire causes suffering” and “avoidance of attachment liberates us from suffering” which makes sense at face value, but then you start thinking harder and you realise that without any kind of desire or attachment we are just passive creatures being buffeted around with no desire to do anything and no attachment to ourselves or our loved ones, and just thinking “mmmmm”. I have queried several thinkers about this and the best responses I have received are along the lines of 1) “everything in moderation” and 2) not all desires are as bad as others. To my analytical mind, this is still dodging the core issue, although it perhaps offers a practical way to live one’s life. Stoicism seems to me much more practical – avoid impossible desires and attachment to things or people that are out of reach – but otherwise, OK. I still have big problems with this, as my personality type rejects all such notions, and I have to engage my conscious mind to over-rule my feelings. I suppose that’s what philosophy is for. I’ve had the same issues with the question of whether we can really completely detach ourselves from desire…I don’t think it’s possible or, um, desirable. At least not if we’re to be hyperbolic about it (but hyperbole makes a better bumper sticker). This moderation you speak of makes more sense, but “be moderate” is a little boring. Still, I prefer boring and clear over snappy exaggerations. There is a common misunderstanding about the equation of desire= suffering. If you approach Buddhism from an intellectual standpoint it can seem simplistic and prescriptive. Its not so much that desire in itself causes suffering but our attachment to it and all the subtle expectations that arise out of our self-concern. Buddhism is a day to day ‘practice’ – not a philosophy although many people now regard it as such. Thanks for your comments, R2DL and erikleo. I am still stuck though. I understand for example, that my desire for, say, a new car is a primitive emotional response and that by becoming attached to this desire I am setting myself up for disappointment and suffering. I can even understand that my desire to stay healthy and live a long life is emotionally driven (albeit intellectually driven as well) and that attachment to good health and long life is almost certain to end in suffering. It is only by becoming very attached indeed and consumed with desire and passion that humans achieve great things. We would never have sent a man to the moon or found a cure for smallpox or demanded equal rights for women if we were content with the way things were. Stoicism I think I understand. Don’t beat your head against a wall. But what does Buddhism have to say about this? Simply to be content with the way things are? Or something else? You see that it is my desire to understand that causes me to post this. Without an attachment to this desire I wouldn’t even be reading this blog, let alone asking questions. Desire gives life meaning, doesn’t it? I think there is a big difference between desire and determination, as in your example of scientific progress. The suffering comes when it is the egocentric self that is ‘needy’. (I am speaking from experience!) It is possible to do good in the world with no attachment to ego. Think of doctors working in the so called third world. Of course it doesnt have to be on such a grand scale. Recently here in the NE of England a disabled man was beaten up and a woman spontaneously set up an online appeal and raised about £40,000 for him. This is selfless action and is not dependent on any philosophy; merely upon the innate goodness in people’s hearts. There is no reason why non- attachment to selfish desires should lead to apathy. In fact the opposite is the case. I am much more focussed and less apathetic now after 30 yrs of practice than I was in my thirties! Thanks for your reply. You distinguish between selfish and selfless desires, and that makes a lot more sense now. Still more questions though! Example 1. Suppose my son has an illness. My desire to help him is selfless, but nevertheless, this desire causes me suffering. Example 2. Suppose I am the CEO of a corporation. My desire for the company to succeed is selfish. Nevertheless, it is necessary for the company to succeed. A selfless CEO is useless and will cause the business to fail with great loss of jobs. Any thoughts on these? Sorry if I am putting you on the spot! The first ‘Noble Truth’ in Buddhism is that of Dhukka which westerners translate as suffering ( not quite right but that’s another topic). I understand it to mean that we have to profoundly understand that ‘suffering’ is an inevitable fact of life, not just pay lip service to it. There are a lot of things about life that are ‘painful’ or stressful and we have to accept that, a bit like the Stoics! The point is that we make primary suffering a lot worse by ‘secondary suffering’ – meaning our internal conversations about the initial suffering. In your case about an ill child. The mother may make things worse for herself by saying to herself, “He’ll never get better. I don’t deserve this. I can’t pay for his treatment. This wouldn’t have happened if I hadnt married that loser!” Yes, he’s ill and it’s bound to bring up sad thoughts but the internal conversation needs to be seen for what it is and let go of. This is not easy. Genuine spiritual practice is radical. If you want another example of HOW radical, have a look at some of Byron Katie’s video talks, This is spirituality without the trappings of religion. Your 2nd example about th CEO is a good one because it highlights the reality of ego-ambition. This is the world we live in where egos are battling it out for supremacy. It is possible for a CEO to do the best for a company and act relatively selflessly, although I havent any personal experience of this. Perhaps this is also linked to ethical businesses? Thanks for taking the time to reply, Erik. I love the idea of the “toolbox” method of philosophy. I’ve always felt that anything overdone/overused can get you in trouble. Using different philosophies on an as needed basis sounds like it will keep you from getting stuck in a narrow mindset. That’s always a good thing. Yeah, I feel the same way…especially when there are problems with just about every individual moral philosophy. It doesn’t seem right to buy into one thing and expect it to work in each instance. On the other hand, being late let me read all those interesting comments (but left me with little left to say — fortunately that never stops me). Totally agree on the toolkit approach. Hybrids are usually more robust than purebreds — mongrels are sometimes the best of all. And art always borrows from what has come before. I always loved the image from stoicism of the dog tied to the big cart. The cart is going down the road, and — like it or not — so is the dog. Now the dog has two choices: be dragged kicking and screaming (which is hard on the dog and the cart doesn’t care), or accept this fate with grace and walk along with the cart. Regardless, the dog is going down that road. As I recall, the Stoics believed just about everything in life was beyond your control — certainly not a typical Western belief (“if you want it badly enough it will come true” is). I’m not down with that, but I do cherish the idea of accepting the things you cannot change with grace. The results of the MRI show I have no tumor or MS. I’ve had some strange results from other tests, and they still don’t have a diagnosis, but we’re gonna pretend it’s vestibular neuritis (even though two tests show it’s not this…I know, it’s strange). So this means I have to do balance exercises and hope for the best. I hadn’t quite realized the extent to which the Stoics thought we had no control. It’s clear that I haven’t done my reading! Well, if that’s the case, I don’t think I’d agree either. There certainly are things in our control and refusing to act on these things seems defeatist. I’m with you—I prefer to think that acceptance of things you cannot change is the way to go, but only if you really can’t change them.